**Please be advised, Ticketleap does not let you select your own seats if buying tickets on a mobile device. Please buy tickets on a laptop/desktop and select the "Select Seats" option in order to reserve your seating. 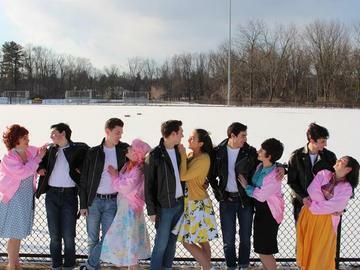 Join Danny, Sandy, the Pink Ladies, and Burger Palace Boys as we visit Rydell High’s class of 1959. Join them as they sing their way through some of your favorite tunes like “Grease”, “You’re the One That I Want”, and “Summer Nights”. This classic musical will keep your toes tapping and hearts smiling.